we had a fantastic time there! one of the first images coming to mind is that of a beautiful hacienda with terracotta tiles, colorful interior, warm design details and place offering lots of good vibrations for you and your family. Now, if you have been checking on the property market here in Playa del Carmen, you will know, that most of the times we promote ocean view condos for sale and luxurious homes close to the beach, as we are in the caribbean and millions of tourist come here and want to enjoy white sandy beaches and turquoise waters. Mainly the newer buildings are very modern and elegant and it seems like if you want to live in a hacienda, the place to look is Merida or Guanajuato or San Miguel de Allende. But a good realtor always finds you the impossible and we at Homes for Sale Playa del Carmen manage to be able to offer you a 3 bedroom Hacienda in one of the most exclusive neighborhoods in Playacar at a great price!! You can enjoy the advantages of living in a gated community, be close to the golf course, enjoy free access to the facilities of the Playacar Beach Club and live in a save and tropical environment very close to the Caribbean Ocean. For more info about the listing, just click on the picture and find all necessary details. If you like what you see, don’t wait too long and come down soon and enjoy the best time of the year in Playa del Carmen. For more real estate in this area, just visit our website or visit us on Point 2, Facebook or Youtube. A day off from Playa del Carmen Real Estate and it is time to take a weekend and go and visit the magical place of Tulum. Not as interesting for condos for sale and real estate investments like Playa del Carmen and the Riviera Maya, but a perfect spot to spend a weekend and let recharge your batteries. 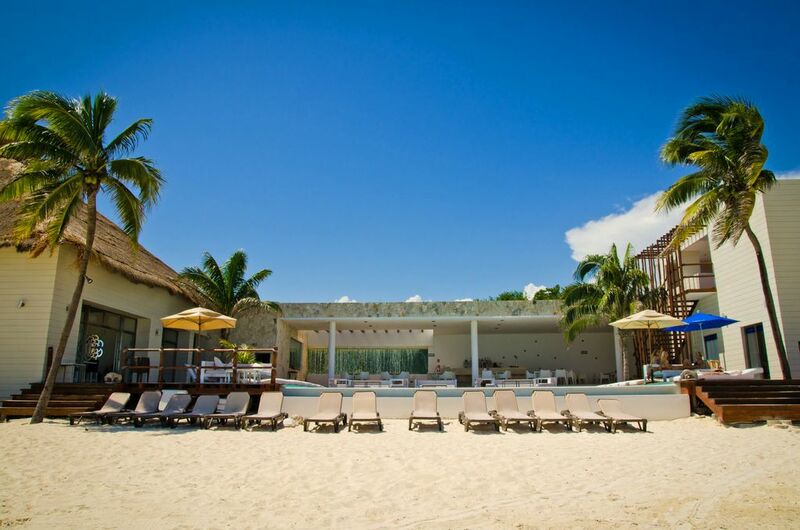 We pretty much always would go to La Vita e Bella and considered this our favorite Beach Club in Tulum. Great Menu with seafood and real italian pizza, close to the ancient Tulum Ruins and just a beautiful spot to spend time with your family. This weekend we decided to go and visit Las Ranitas Hotel and we had one of our best times in Tulum. The rooms are very much the best I have seen so far in Tulum and because of this and the amazing location, it is a favorite spot for many Americans and Canadians to come down and get married here. For more info about weddings just click on the picture. Las Ranitas is probably one of the closest Boutique Hotels to Sian Kian Biosphere, very private and with the perfect beach, miles of white sandy Caribbean ones with coco nut palm trees and yesterday the full moon to make this the perfect atmosphere to enjoy your free time. From today on we will be in the office again and you can contact us for current real estate opportunities in Playa del Carmen and more info about Mexico and the beautiful secrets we like to share with you. 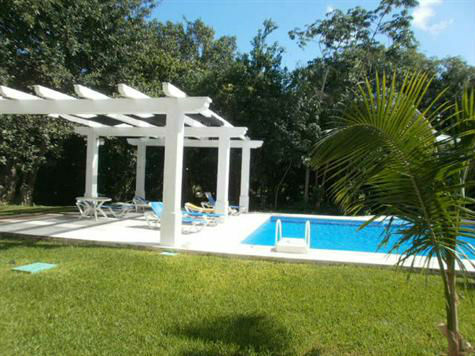 For more property info please visit our Homes for Sale Playa del Carmen Website and visit us on Point 2, Youtube and Facebook. Playacar is a gated Golf Course Community and part of Playa del Carmen, where most Americans and Canadians find the best Real Estate Opportunities in Mexico. In Wikipedia it says that Playacar is a upscale resort area of Playa del Carmen and for more detailed information you can check out this link. Basically if you love the Caribbean, the tropical climate and vegetation and instead of downtown Playa del Carmen like it better to purchase real estate in a secluded gated area, Playacar is perfect for you. And if you think, all the homes you see online mean, that you only can find condos and homes for sale for very high and exclusive prices, I’d like to show you this amazing 2 bedroom ground floor for not more than a 130,000 US. You are surprise now? Just click on the picture to find the exact info about this amazing deal. If you have been asking yourself, what we do in Playa del Carmen after a week of showing Condos for Sale and luxurious Real Estate Opportunities? Well, we go to the beach and enjoy what is best about Playa del Carmen. The white sand, the turquoise water, coconut palmtrees and a frozen Margarita. One of the places to go is the Grand Coral Beach Club. Just click on the picture and you’ll be shown a video on youtube showing the relaxed atmosphere and the beautiful surroundings. It is a great restaurant as well, where you can enjoy yummy burgers fresh ceviche or the caribbean fried fish. In this area of Playa del Carmen you find beachfront and golf course Real Estate on this link here, where you see great Condos for Sale in Best Location. For more info on your property search please feel free to visit our Homes for Sale Playa del Carmen Website and visit us on Point 2, Facebook and Youtube. One of the beautiful parts of owning one of the condos for sale you’ll find on our website instead of a house, is that the common areas offer you the advantage of a shared responsibility and less cost to maintain them. Most of the time, those amazing rooftop pools with views overlooking the Caribbean Ocean are not visited and used a lot, so you actually have a fair chance of being the only person enjoying them. And you do not have to pay the extra price for a penthouse with a private rooftop. You will find, that there are many properties in Playa del Carmen where these advantages can save you up to 200,000 US if you you decide to buy real estate and choose a condo on the lower floors. In the case of this brand new building you have the last 5 condos for sale on the 1st level with private entrances, 2 level interior with extra high ceilings, very modern design, private access to the underground parking and great discounts if you purchase before May. If you want to check out more details, just click on the picture and visit our Homes for Sale Playa del Carmen website to find more interesting real estate opportunities. Don’t forgot to see our Point 2 options and find us on Facebook and Youtube.